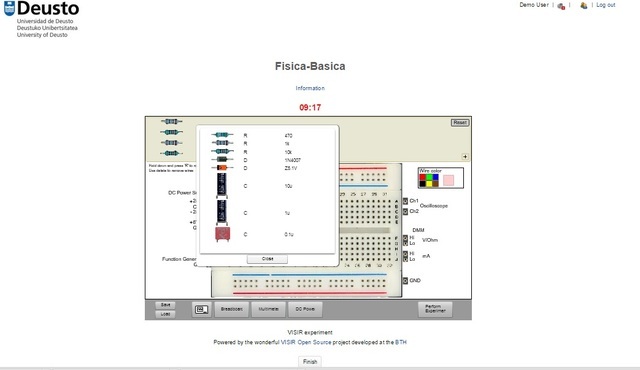 LXI-VISIR for AC circuits is a remote laboratory that allows students to create various circuits with resistors (1 kohm and 10 kohm), capacitors and diodes. The circuit is powered by function generator and measured with an oscilloscope and multilemeter. RC circuits, rectifier and filter can be designed and analysed. 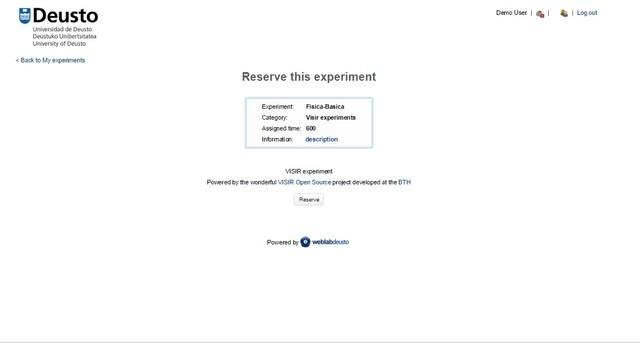 Although the manipulation occures over Internet the lab interface gives the user the feeling of the real lab immersion. The lab is created and deployed by the WebLab-Deusto on the VISIR basis.